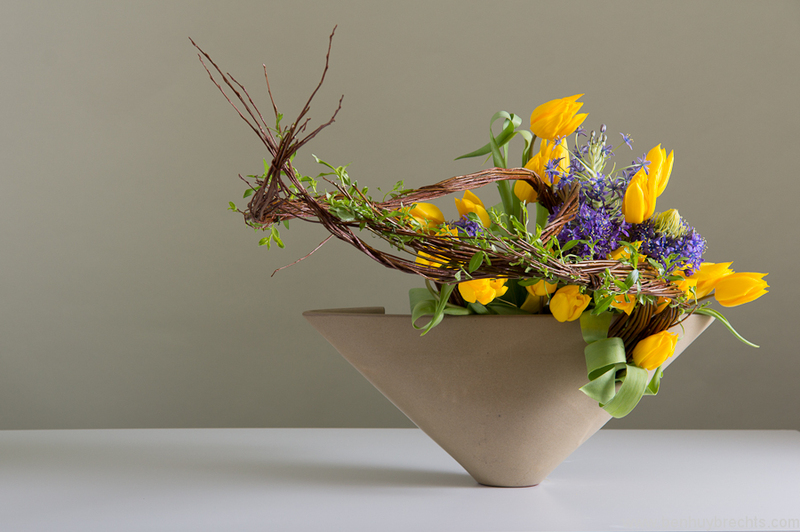 Ikebana classes | Lily Griffiths, Art Floral Paris. You dream of travelling to Japan and are searching for a relaxing Zen activity in Paris ? Lily Griffiths offers Ikebana introduction classes, a Japanese Floral Art. During this class, she will unveil all the secrets of this ancestral Japanese Art. The Sky, the Earth, and Man are the 3 fundamental axes of Ikebana. You will learn with Lily, the linear techniques and Ikebana philosophy, as well as the Japanese Art of living, must-know knowledge to understand the Art of Ikebana. The furniture, the famous Kenzan and the plants are given on site. You will bring home your creation.